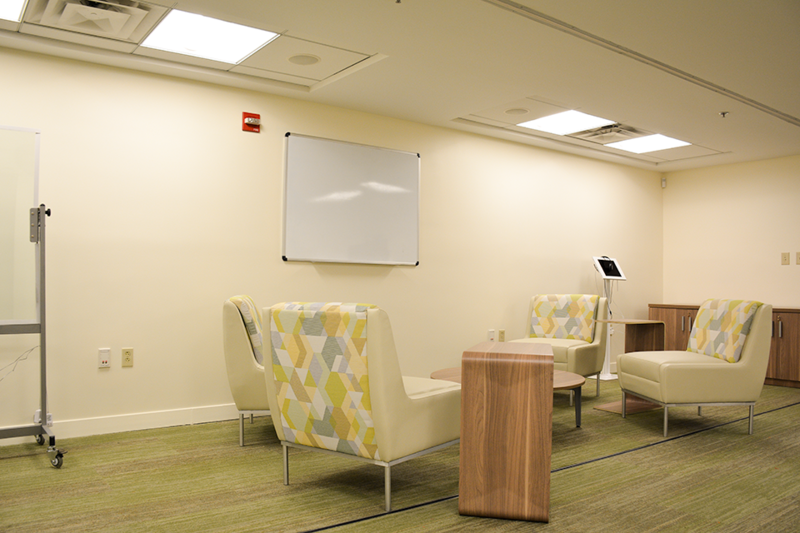 This multipurpose space was designed to provide the optimum learning environment for faculty at the University of Miami. 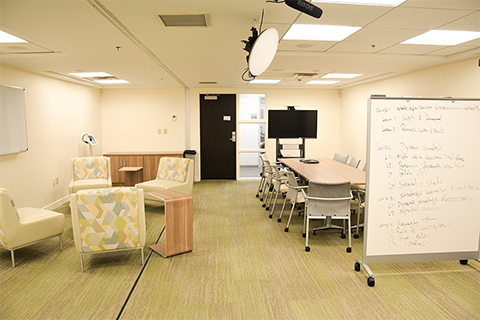 The Faculty Exploratory is equipped with a variety of learning spaces which are intended to promote interactions with technology and stimulate conversations related to technology integration in teaching and learning. The Faculty Exploratory can be booked by UM faculty and UM instructional designers. 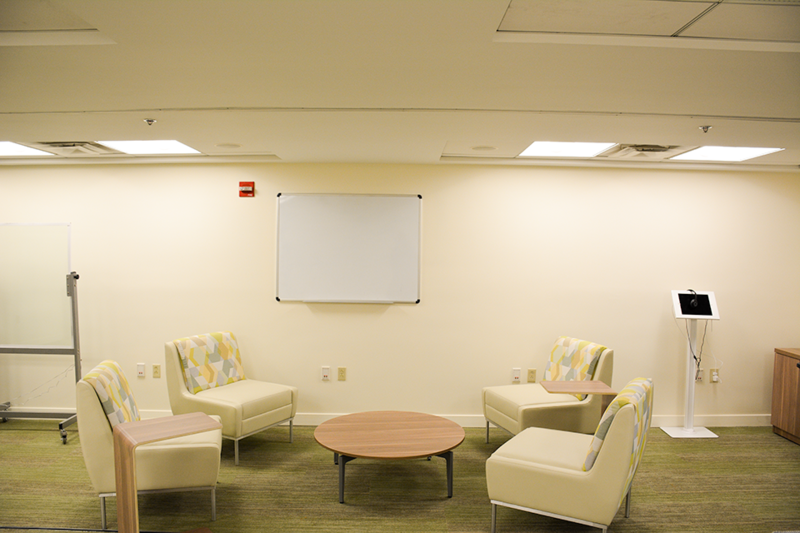 The room is available for reservation during library hours. 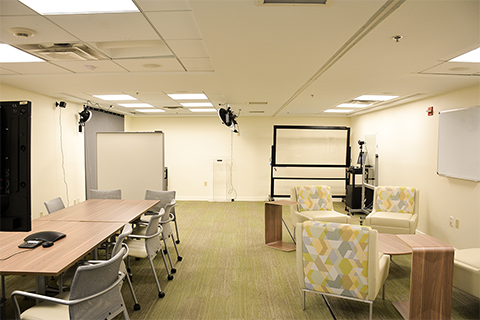 Staff assistance in using the lab is available Monday - Friday from 9am - 5pm. 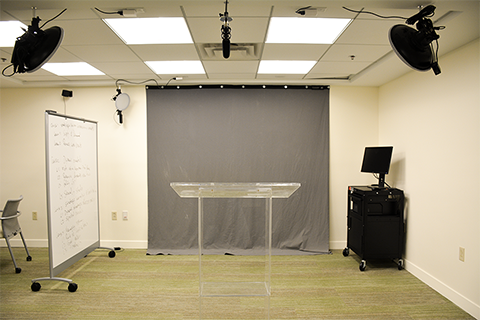 The One Button Studio is modeled after a traditional film studio and includes a camcorder, professional fixed lighting, an anchored ceiling microphone, a light board, a podium and a reflective background which can be utilized as a green or blue screen. It was created to simplify the entire film making process by remotely controlling all of the filming elements with the touch of a button. 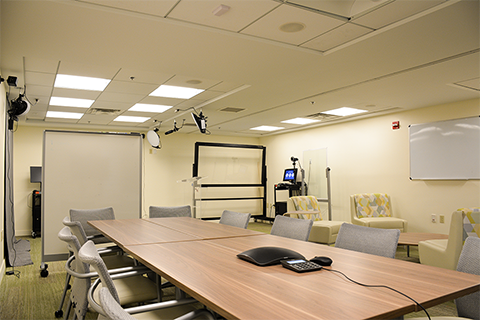 Walk in, insert a flash drive, record a video, and take the video with you when you leave. 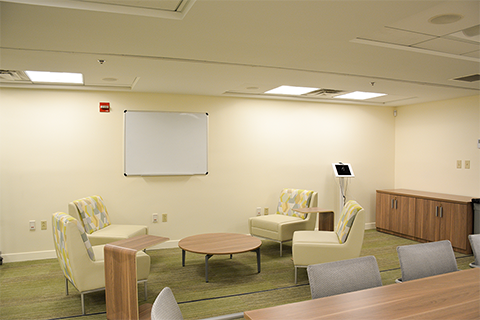 For informal meetings, the Faculty Exploratory offers four comfortable slipper chairs, with two moveable tables, ideal to sit and talk comfortably with a few people about new projects, strategies, and other forward-thinking ideas. 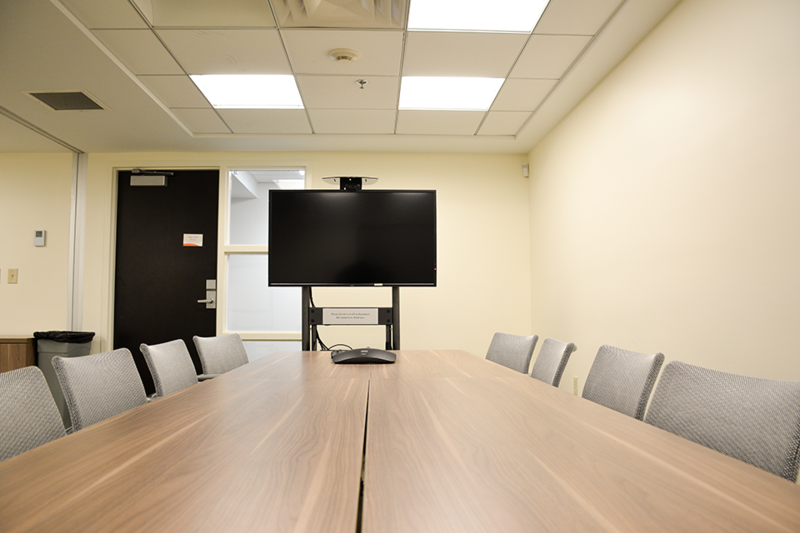 For larger meetings, the discussion space seats 10 people comfortably connected to a roaming monitor, providing the perfect space to view webinars or collaborate on research projects. Use the existing computer, or bring your own devices and share screens and media using the Apple TV. Explore virtual worlds and gain hands-on experience with the new HTC Vive. The HTC Vive, is supported by Academic Technologies, and requires a consultation before faculty use. Contact academictechnologies@miami.edu or reserve the faculty exploratory and 'select Virtual Reality Station' to prepare for a consultation. Existing experiences are available to view here. The iPad station can be utilized for recording and creating class notes, lesson plans, recordings and course content through a variety of apps. Faculty Learning Community (FLC): FLC fellows, Academic Technologies' Sr. Instructional Designers and University of Miami Libraries' librarians adopted the Faculty Exploratory as the location for semester-based meetings, investigations and prototyping of ideas for course change related to their learning community theme. U-Link (University of Miami Laboratory for INtegrative Knowledge): U-Link fellows and University of Miami Libraries' librarians employ the Faculty Exploratory as a central meeting ground to support teams of scholars from multiple disciplines in collaborative, problem-based inquiry. 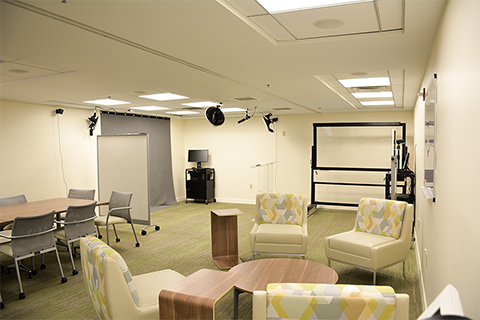 Virtual Reality Assignments: Since Summer 2018, the Faculty Exploratory has been home to a Virtual Reality Station available for faculty to explore within their own research and for educational purposes. 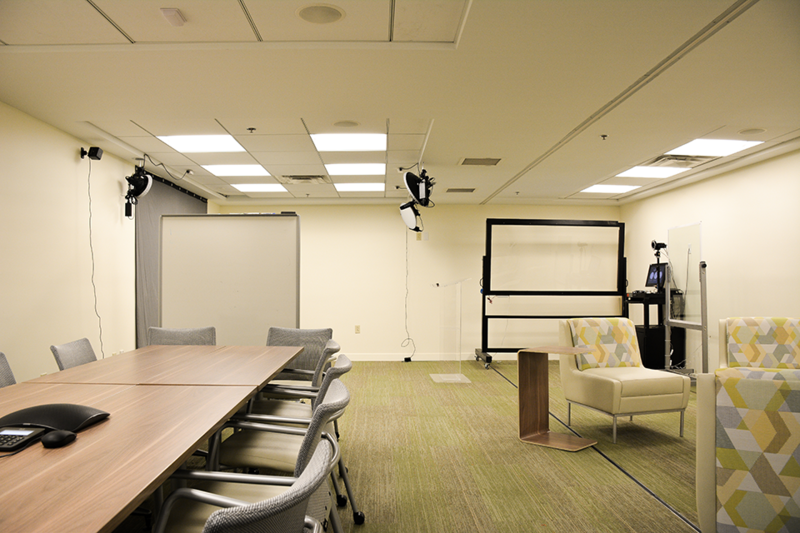 University of Miami's Communications team featured the introduction of virtual reality assignments within various courses, using this equipment.